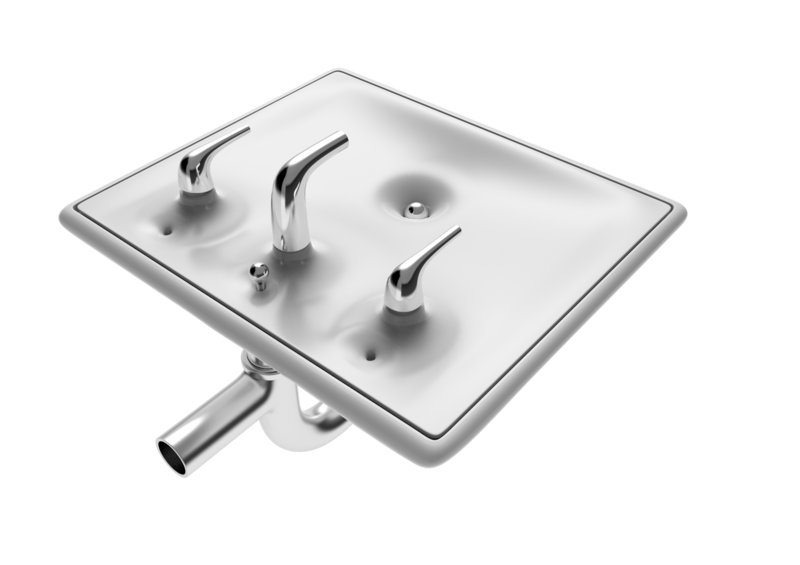 A playful sink design for home and commercial use. The surface dips down subtly, with the stopper acting as a planetary body of sorts. Water swirls around its spherical body before disappearing down its well. 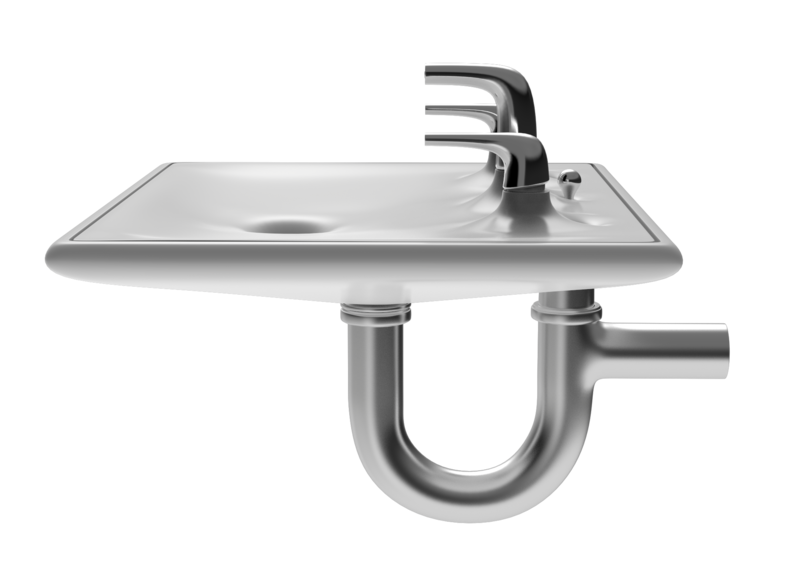 The sink is wide and the hardware points forward invitingly. 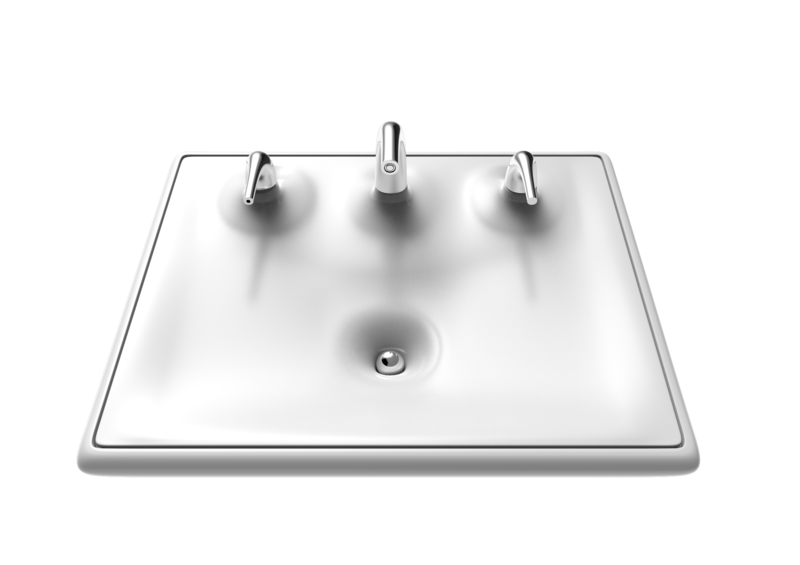 The surfaces are designed with clean up in mind, and there is an overflow seam around the edge. Hidden behind the hardware are two additional overflow holes and the lift rod for the drain stopper. 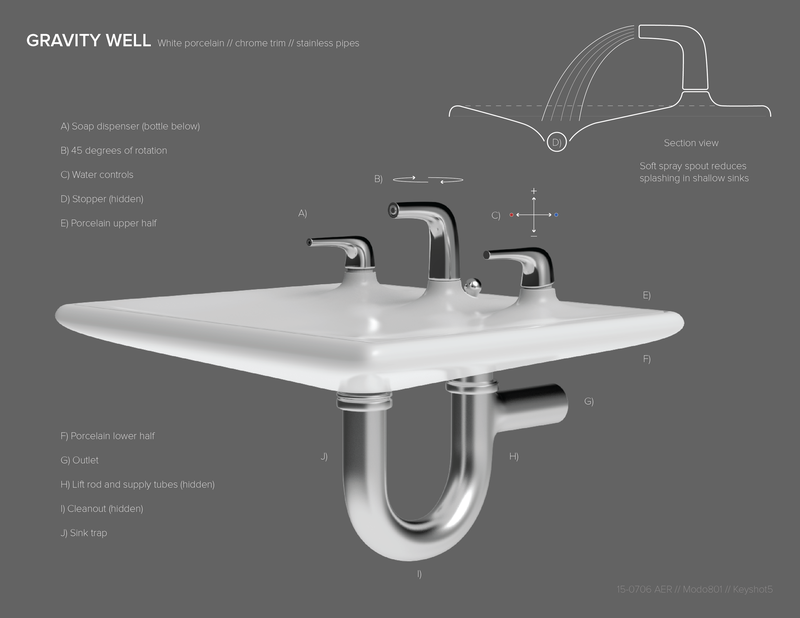 An overview sheet, with a cross section of the sink. The left knob is a soap dispenser, while the right knob lifts to control temperature and flow rate. The Modo model, showing the sub-division (polygonal) surface.